"They’re from two different worlds. With her dream of becoming a horse jockey, Savannah isn’t exactly one to follow the rules either. She’s not going to let someone tell her a girl isn’t tough enough to race. Sure, it’s dangerous. Then again, so is dating Jack…"
First line: "Welcome to Cedar Hills Farm of Franklin, Tennessee." Thoughts: Everyone has their go-to authors. You buy all of their books because they never seem to disappoint you. In a way, they're like Santa...with books! Well, there's a reason Miranda Kenneally is one of my go-to-auto-buy authors, and RACING SAVANNAH is one of the now four reasons why. I cannot tell you how many times I laughed and smiled while reading this book. So many lovable characters, so little time. charisma and charm to the novels. For the longest time, I wondered who Miranda would write about next. I mean, Hundred Oaks seems like a relatively small high school. Who could possibly be next? Well, just to let you know, the main characters are now the siblings of some of our favorite folks. Even though they've graduated and moved on, you still see glimpses of them. Home is, after all, where the heart is. FYI, I ;ove me some Sam Henry and tacos! Oh, btw, there's a wedding in this novel. I'm not going to say who these two people are, but it is a GOOD one! If you can't tell my the title, this story is told through Savannah's point of view. Her father has accepted a job at Jacks family's ranch and have moved into the employee living quarters on the ranch. Not to jump from one subject to the next, but do you believe in love at first sight? You should because that's the best way to describe Savannah and Jack's first encounter. Again, I don't want to give anything away but sparks were present alongside three dogs and a crazy horse. Now, you would think things would be simple, especially for teenagers in love. Not the case. The class system still exists in some ways. Jack's father has always taught him not to "take advantage" of the staff, and Savannah's dad doesn't want her ruining his and her step mom's steady income. This leads to some exciting (and steamy) rendezvous and of course, drama. There were some scenes were I wanted to hold and swoon all over Jack, and there were times where I just wanted to slap him. Though he's not my favorite of the HO (Hundred Oaks) boys, he's definitely a swoony love interest. 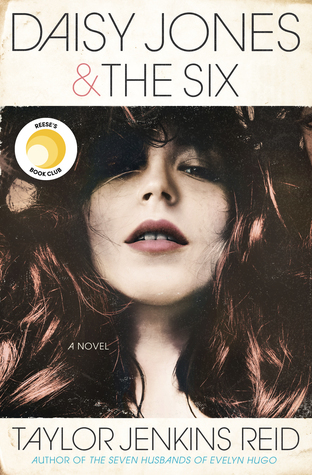 I do have to admit, though, that out of all the characters in this novel, Rory was my favorite. From his hilarious screenplays to just his overall warm heart, I couldn't help but fall in love with him. One of the things I loved about this book is how insanely selfless Savannah can be. Though Savannah's step mom is pregnant and about to give birth, she volunteers to do her step mom's chores around the property so she won't get fired. They don't have much money, and Savannah knows that. Every penny counts! At one point, Savannah was willing to give up her possibly remarkable future just for her family. Strong female protagonists are always a plus. They don't have to fight demons or vampires to be strong, but they do have to have a good heart. The author can definitely write a sassy, witty, and strong female lead, and Savannah is all of these things. Overall, I highly recommend that everyone read RACING SAVANNAH. It's too cute for you guys to miss out. Needless to say, I can't wait to read Miranda's next book. I need it like I need air! "One time a horseman told me I have a way with horses. Dad told me not to listen when men say things like that, because they're just trying to get into my pants. But I do have a way with horses. Dad, however, does not have a way with words." "Anything will scare horses when they're young. Especially if they're Thoroughbreds. Dad says they're crazy because of inbreeding. Thoroughbred bloodlines are worse than the royal families of Europe." "I can't think of a good word to describe how this Brent guy makes me feel. Resentful? Flattered and angry? Flangry." "Jack touching me just now was like fireworks exploding right in my face. It was so, so dangerous. But the colors were so real." "'Yeah, there's a woman in a white dress. Um, her name is Moaning Myrtle.' 'You stole that from Harry Potter.' 'Damn,' he mutters." Rory was awesome and I really enjoyed this book. I have to read the others. I've only read this and Catching Jordan so far. 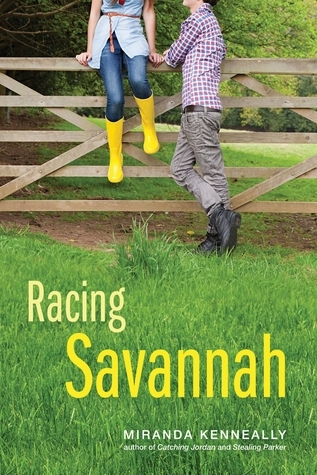 I'm very excited to read Racing Savannah, mostly because I loved Stealing Parker and Things I Can't Forget A LOT. Sounds like an amazing story! I need to get my hands on Racing for Savannah, I've actually been doing a pretty good job keeping up with the Hundred Oak books and I don't want to fall behind. And OMG, I have to know who gets married....I think I know who, I'm guessing it's someone's parent from another book ? a try. I contacted him via email and explained my problem to him. In just 3 days, my husband came back to me. We solved our issues, and we are even happier than before. Dr agbakor is really a gifted man and i will not stop publishing him because he is a wonderful man... If you have a problem and you are looking for a real and genuine spell caster to solve all your problems for you. Try Dr agbakor anytime, he is the answer to your problems. Here's his contact agbakorspiritualspellcaster@gmail.com. Thank you Dr agbakor.